If you are leasing or selling a property and need a residential pool inspections Kedron professional to help you obtain pool certification and receive a pool compliance safety certificate,– your in the right place. If you are wondering how to inspect a pool we can give you the necessary information and guidance to help you get your safety certificate efficiently and with the minimum of hassle. From the 1st December 2010, all swimming pools on regulated land in Queensland are required, at the time of sale or lease of their property, to have a pool safety inspection for home purchase conducted by a licensed pool safety inspector and be issued with a pool safety certificate stating that the pool complies with the new pool safety laws and standards. Not all pool inspection companies are the same. As licensed pool safety inspectors, Total Pool Safety Solutions provides certified inspections offering variety of services. This includes pre-purchase pool inspections as well as pool safety certificates and consultations. Why Choose Us For Pool Inspections & Pool Compliance In Kedron? If you are wondering how to inspect a pool or what do pool inspectors look for the following information will come in very helpful to you. If you are needing a residential pool inspection or pool and spa inspection and before contacting any pool inspection companies read carefully through the information below. You can download our pre-inspection checklist and will have access to the most common issues that are found during inspections performed by our certified pool inspectors. Bear in mind that this information is provided as a general guide only and is not meant to replace the need for a residential pool inspection performed by a certified pool inspector. This pre-inspection checklist provides a guideline of pool safety for customers who are using Total Pool Safety Solutions. On the checklist, you will find the most common issues that we find on our safety inspections. This list is not designed to be a substitute for an actual inspection by a safety inspector who is licensed. The full scope of what may be required by current laws is not covered entirely in the list. 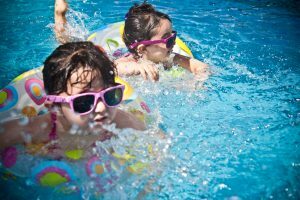 A pool safety certificate is not typically needed if you are not leasing or selling your home in Kedron. Since November 30, 2015, it was required that you meet the current safety standards for pools. If you need to know how to inspect a pool or whether your residential pool and spa is compliant our consultative inspections of pools provides you with peace of mind. During this inspection, we come to your property and check both the pool safety and the compliance of the pool barrier to ensure they meet current safety standards. After the inspection takes place, we provide a letter to give written confirmation that the pool is compliant or, if needed, to show what is non-compliant and give some options for fixing the situation. This is a good idea if you don’t need a safety certificate but want to ensure that it is safe. Kedron is a northern suburb of Brisbane, Queensland, Australia..